New ransomware on the horizon, are you prepared? Ransomware has become one of the most damaging threats from the internet for both home and business users. 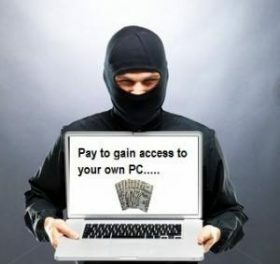 Ransomware gains access to computers when people open email attachments or download the ransomware through false advertising. The most recent and well-known versions run silently in the background encrypting the files on your computer without your awareness. After it has encrypted your files, a window pops up informing you of the encryption and telling you how to pay to get the decryption key. At this point the damage is done. You only have two options to get your data back, you can pay the money (with no guarantee the decryption key will work) or you can restore from backups. Now, as if that wasn’t bad enough, a new variant has been discovered that is even worse, it encrypts entire hard drives! Without good backups in another location, your home computer or business could be toast. With NetLink’s backup solution in place we can prevent down time by quickly spinning up a virtual machine to keep your business running and restoring your data or entire servers like nothing ever happened.